Never miss a moment of the madness! 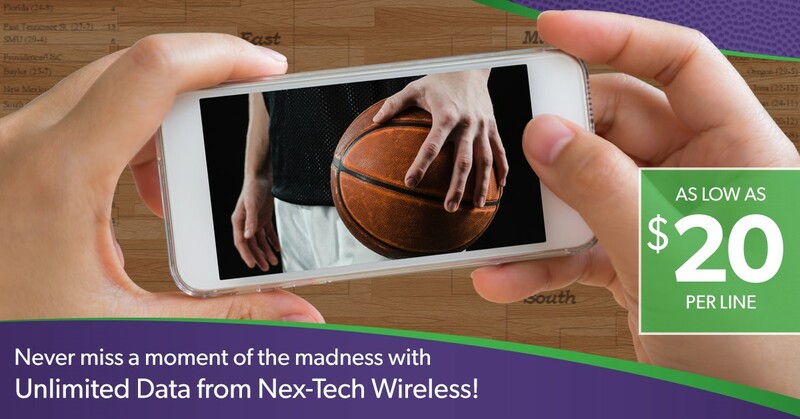 Make sure you don't miss a moment of the action with unlimited data from Nex-Tech Wireless! Ask about our FREE, upfront and honest consultation about your data and wireless needs so you don't miss a game. Unlimited data plans as low as $20 per month. Includes unlimited talk, text and data. *Freedom agreement required. Users may experience slower speeds at 144kbps after reaching 30GB of data usage inside and 10GB of data usage outside the local Nex-Tech Wireless service area. Tethering is allowed and included in total data usage.